NOT feeling up to making plans for the coming weekend? Let us do the thinking for you — we have some great ideas to suit your heart, your mind and most importantly, your stomach. Looking for something interesting to do this weekend, or perhaps just to indulge in something relaxing? Here are some interesting events and happenings going on around the Klang Valley. • Relive the music of the King of Pop this weekend at the Putra Indoor Stadium, Bukit Jalil with Thriller: A Musical Celebration. Hailing from London’s West End, Thriller Live comes to Southeast Asia for the first time ever to celebrate the life and incredible talent of the late Michael Jackson. The tour has visited over 28 countries around the world to legions of adoring fans, and will run until March 25. Tickets are from RM128 to RM538 and can be purchased online at www.ticketcharge.com.my or at PJ Live Arts, Rock Corner, Victoria Music Centre, Neway, Speedy, and TLC Hypermarket. For inquiries, call 03-9222 8811. • Alexis Bistro presents the rhythms of Brazil with Xiong tonight and tomorrow night. A guitarist, composer and music arranger, he has worked with the likes of Kris Dayanti, Harvey Malaiholo, Jonas Gwanga and many others. His gentle, Bossanova-style music has been described as mellow, feel-good and laid back. Showtime starts at 10pm at Alexis Bistro, Great Eastern Mall, 303 Jalan Ampang, Kuala Lumpur. For inquiries, call (03) 4260 2288 or log onto www.alexis.com.my. A dress code applies: no shorts and slippers. • Catch acclaimed play A Modern Woman Called Ang Tau Mui by Malaysian playwright Leow Puay Tin this weekend. Starring Amelia Tan and Marina Tan, and accompanied by music from Yon Lynn Tan and EYO, A Woman Called Ang Tau Mui is a funny, poignant story of hope presented in both English and Mandarin. As Tau Mui goes about her shopping on the day she dies, she walks from place to place, looking and searching, watching a movie while talking to us about what makes her happy, sad, and how she sees herself. 9pm tomorrow and Sunday at Theatre Lounge Café, B1-3A, 63 Jalan Sri Hartamas 1, Kuala Lumpur. Tickets are RM65 and RM117, call (03) 6730 7982 to book. 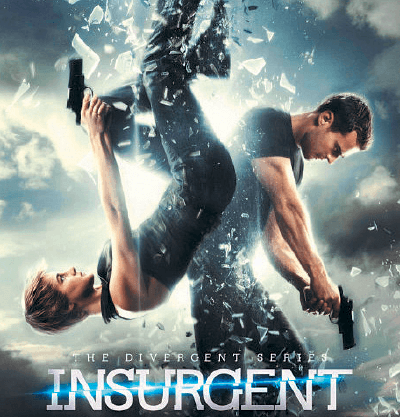 • Insurgent, the sequel to last year’s Divergent, premieres in cinemas today with the return of Shailene Woodley and Theo James as divergents Beatrice ‘Tris’ Prior and Tobias Eaton in a dystopian post-apocalyptic version of Chicago. Insurgent follows the teenagers as they are forced to escape into Factionless territory and fend for themselves. Based on novels by Veronica Roth, the film will be showing at all GSC, TGV and Cineleisure cinemas. Visit cinema.com.my for listings. • Joseph Brodsky once said, “There are worse crimes than burning books. One of them is not reading them”. The KL Alternative Bookfest (KLAB) returns for the eighth time this year, and features a mix of book launches and heated discussions from the likes of Faisal Tehrani, Syahredzan Johan, Uthaya Sankar SB and many more. KLAB will be held from 12pm to 8pm tomorrow and Sunday at Dataran Underground, a complex located beneath Dataran Merdeka. Visit www.facebook.com/artforgrabs for more details. Don’t worry about making it in time to grab breakfast this weekend because here are five cafes and restaurants that serve a nice, big breakfast — all day long. Laze around in bed as long as you want, and then head onto any of these places once your stomach starts rumbling! 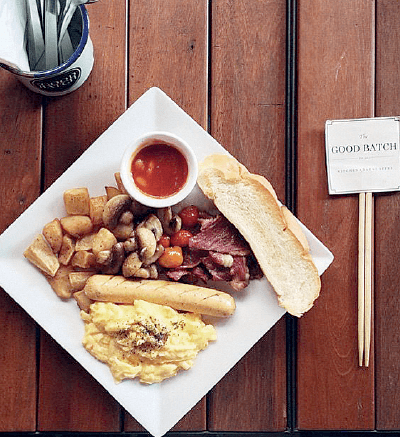 • Enjoy a hearty breakfast at The Good Batch — whether you’re a fan of eggs, sausages and ham, salad or roti, The Good Batch serves them all. With a variety of one-of-a-kind dishes featuring lamb, seafood, Portobello mushrooms and smoked salmon, breakfast will never be the same again. • In addition to serving delicious coffee, The Red Beanbag also features sumptuous breakfasts as well. 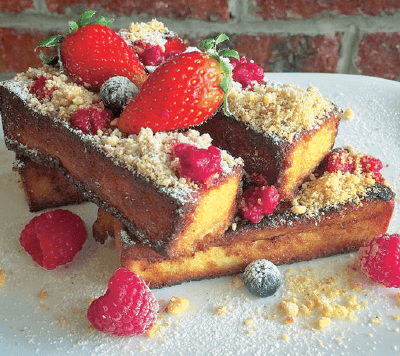 From French toast served with fresh strawberries, bananas and maple syrup to eggs Benedict, sausages and bratwurst, The Red Beanbag is a must-visit for lunch on a lazy weekend. • Watching your weight or prefer a healthier breakfast? Check out Pickle & Fig. It offers healthy, fresh handcrafted paninis, toasted muesli, sandwiches and smoothies. Dishes range from beef, rotkraut, mozzarella and smoothies are made to order without the use of fruit concentrates. 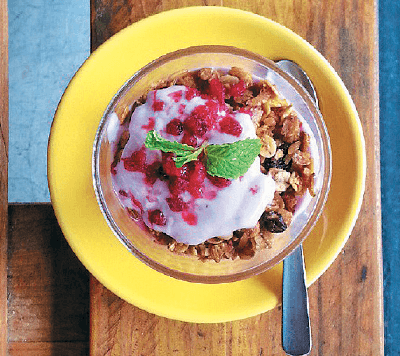 • Those looking for a wider selection of breakfasts will find Urbean Café a treat. It even serves gluten-free food for those with food intolerances, and amazing coffees. The menu serves a variety of scrambled eggs, croissant, omelettes, toast, sandwiches and salads. • If you’re a pork lover, look no further. Three Little Pigs is famed for its speciality sausages, ham and the like, making it unsurprising that they excel in serving divine breakfasts. Head to the restaurant any time of the day to have pork sandwiches, lamb sausages, baked beans, bacon, toast and pancakes. This article first appeared in The Edge Financial Daily, on March 20, 2015.